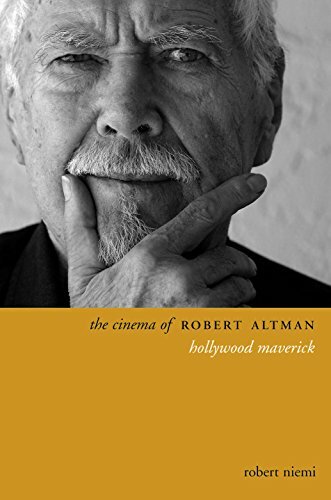 In a controversial and tumultuous filmmaking career that spanned nearly fifty years, Robert Altman mocked, subverted, or otherwise refashioned Hollywood narrative and genre conventions. Altman's idiosyncratic vision and propensity for formal experimentation resulted in an uneven body of work: some rank failures and intriguing near-misses, as well as a number of great films that are among the most influential works of New American Cinema. While Altman always professed to have nothing authoritative to say about the state of contemporary society, this volume surveys all of his major films in their sociohistorical context to reposition the director as a trenchant satirist and social critic of postmodern America, depicted as a lonely wasteland of fraudulent spectacle, exploitative social relations, and unfulfilled solitaries in search of elusive community. Robert Niemi teaches film, critical theory, American literature, and cultural studies at St. Michael's College in Colchester, Vermont.